The Gaggia Vision first came to the office last March. We have been using it along with the Jura to caffeinate everyone in the office for the past year. We had planned to post a FirstLook in the Summer iPad issue of RainyDayMagazine. When we cancelled the iPad issue, we never posted a FirstUse of the unit. So here it is 🙂 Actually, this will be more of a FirstUse/InTheWild write-up. 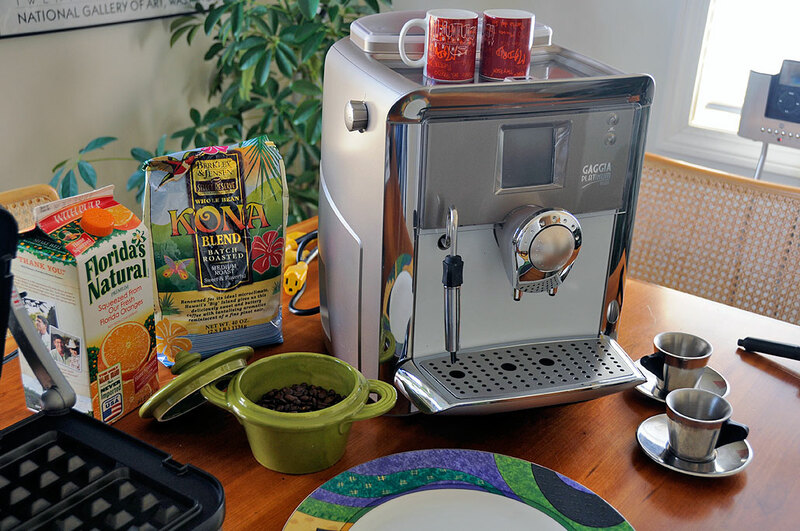 The Gaggia Vision is easy to set up and easy to use. There are plenty of customizations (water temperature, strength, language, etc…) one can set on the machine to have things exactly as one would want. However, all that is really needed is water in the tank and beans in the grinder. 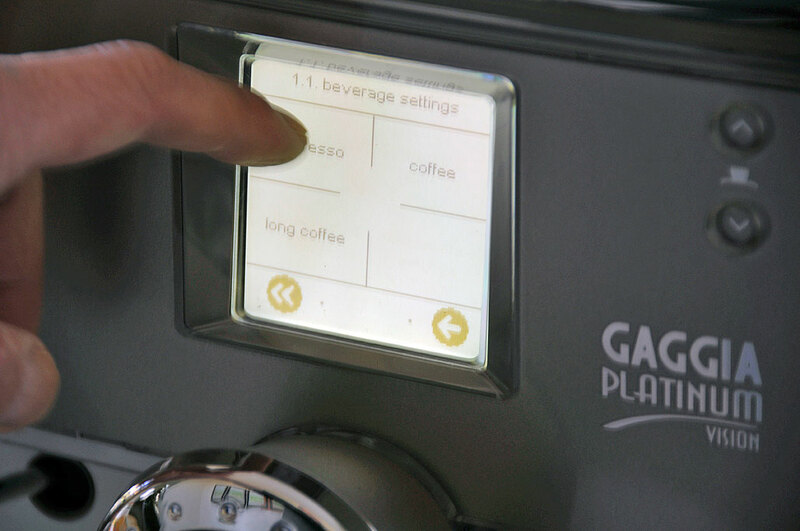 The difference between this Gaggia and the other automated machines is that the interface to the unit’s operation is a touch-sensitive LCD panel. While some may think that might be overkill, we think it is a huge step forward in usability. There are many features in an automated espresso machine. We still occassionally find a new one with the Jura Z7 even after having used it for many years. Remembering them all is difficult enough, accessing them is sometimes an exercise in frustration. With a touchscreen panel, the functions are clearly and logically accessible. Icons and text explain exactly what to do and which features are being selected. No “double tapping” or cryptic sequences to complicate the procedure. After having used the machine for a year, we think it was an excellent design decision and an intelligent use of technology. Well done, Gaggia! 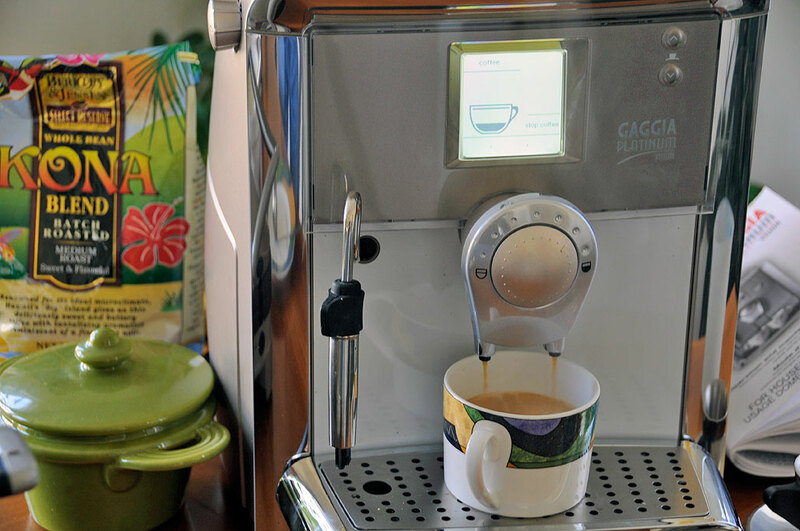 We have used the Gaggia Vision every day for the past year and it has performed flawlessly. We like the push-button panel, as it brings the often-used features up front, but still lets us drill-down when we want to get at the details (water temperature, volume, etc…) without having to break out the manual. The clean looking front panel is not just visually pleasing, it is also easy to clean. Maintenance of the machine has been very low. A message will flash on the screen when it is time to clean out the waste bin or when more water is needed. Other than that, we really didn’t have to do anything else. If you are looking for a low-maintenance, easy-to-use, automated coffee/espresso maker, this Gaggia Vision should be on the top of your list. While it is not as automated as the Jura Z7, it is also less than half the price. So if you don’t need all of the drink-making features of the Z7, the Gaggia will be a great unit and will serve you well. It has for us so far.